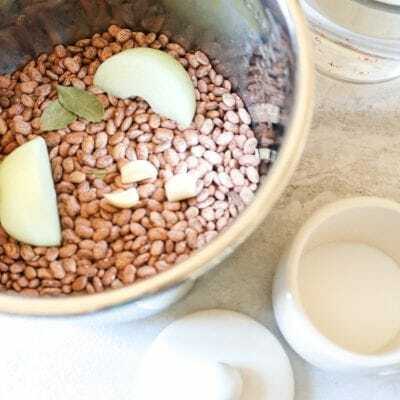 Instant Pot Beans: How to Cook Dried Beans in a Pressure Cooker with No Pre-Soaking Required: The EASIEST, FASTEST way to cook dried beans with success. Do you guys have an Instant Pot? Well, you need to get on it and get one ASAP!! I mean, like yesterday! I myself was skeptical of these magical pressure cooking pots, but my I figured that since I am looked to for answers on all things food related, I owed it to you all to get one and see if the all the buzz was true. Number one reason to fall in love with your pressure cooker is when you make Instant Pot Dried Beans! If beans aren’t your thing, check out my collection of Easy Healthy Instant Pot Recipes. These pressure cookers are the BEST thing ever in a person who is busy but wants to cook home cooked meals. I was hooked the first time I used my Instant Pot–which by the way was when I tried to make my 5 Ingredient Pot Roast with a frozen chuck roast and it was ready in less than an hour!! Crazy–right?!! My latest obsession is making my dried beans in the Instant Pot. I use beans in so many dishes like Black Bean Tacos, Minestrone, and Tex Mex Stuffed Peppers, that to be able to make beans quickly without pre-soaking, is a dream come true for me. And in seriously a matter of 5 minutes prep and less than an hour, I have cooked dried beans that are ready to use. Not to mention, pressure cooking the beans results in the most tender beans I have EVER had! They have better texture than canned beans. Okay, let’s break cooking dried beans without soaking down for you. YES, you can cook dried beans WITHOUT soaking first. I know, mind blowing! Rinse and sort your dried beans–just look over your dried beans to be sure there are no rocks that have snuck in! Place 1 pound dried beans with 6- 8 cups water in your Instant Pot. Cook on high pressure for 30 minutes for just cooked beans that hold their shape and have a bit of chew. For softer beans, cook for 40-45 minutes for super tender beans. Once beans have finished cooking, drain off the cooking liquid and use as directed in recipes. I do like to store cooked beans in a bit of the cooking liquid to keep them moist and tender while they sit in fridge, this is not necessary, but suggested. Instead of just cooking dried beans in water alone, I like to add a little flavor to my beans. This step of course is optional, but highly encouraged. Along with beans and water, add an halved onion, bay leaf and 2-3 teaspoons salt. For Southwestern dishes, I add in 1-2 tablespoons homemade taco seasoning. How do I know how much dried beans to cook for a recipe? First of all, let me start by saying that one pound of dried beans is equivalent to about 2 cups of measured dried beans. Therefore, if you don’t have a one pound bag of dried beans, just measure out 2 cups of beans for this recipe. Dried beans will triple in quantity when cooked. So for 1 pound, or 2 cups, of dried beans, you will have 6 cups cooked beans. Most recipes call for 15 ounce cans of beans. This is about 2 cups COOKED beans. Therefore this recipe for dried beans makes 6 cups cooked beans, or the equivalent to 3 cans of beans. 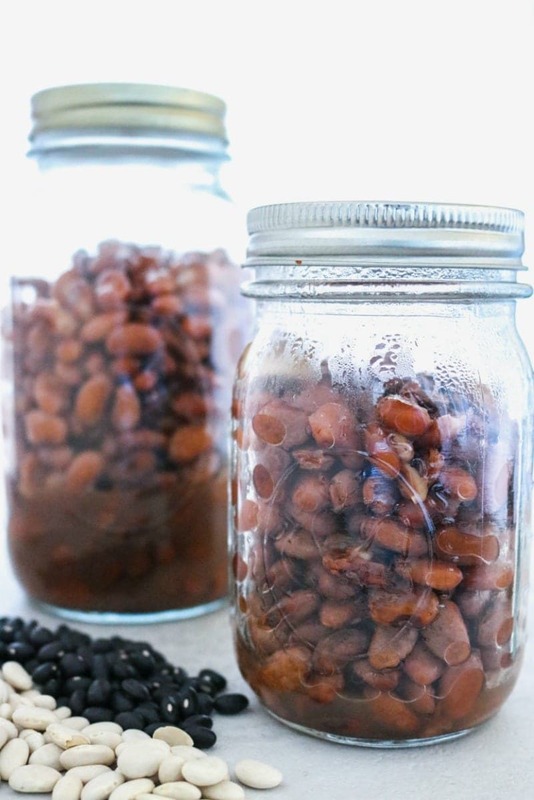 How do I store leftover cooked beans? You can cook extra beans in your pressure cooker to have on hand for recipes. Store leftover cooked beans in the refrigerator for 5 days. I keep the beans with a bit of the cooking liquid (much like you see in canned beans to keep them moist.) Just drain before serving. Or freeze prepared beans in 1 to 2 cup portions in freezer safe bags/containers in the freezer for up to 3 months. You can add a bit of cooking liquid to the beans you plan to freeze as well. Almost all dried beans take 30 minutes to cook. I have found that black beans are ready in 25 minutes and chickpeas, are softer at 40 minutes. If you like your beans SUPER soft, without a bite left to them, cook for 40-45 minutes on high pressure. It is best to let the pressure release naturally for beans to retain shape. However, you may do a rapid release after 10 minutes, by putting on oven mits and pushing steam valve to release. Just be careful not to burn stand too close–that steam can burn your face! 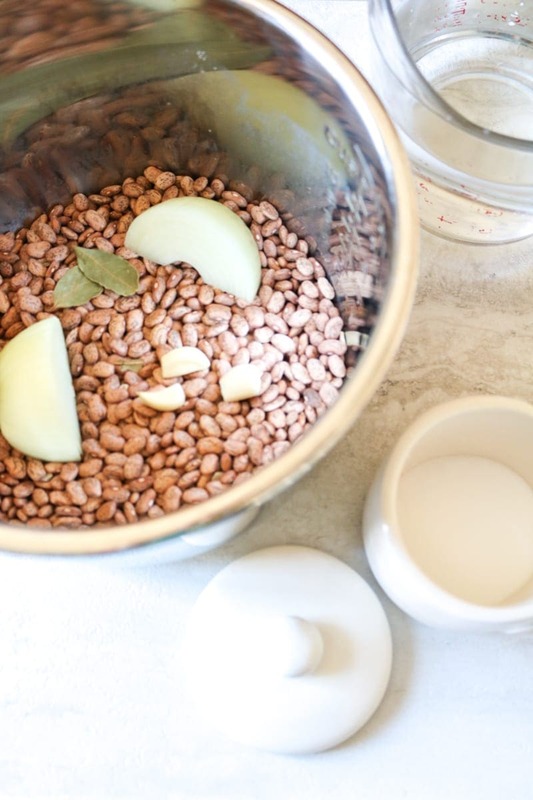 If you find beans to be hard on your stomach or make you gassy, either pre-soak beans overnight first and/or add in 1 tablespoon apple cider vinegar while cooking. You will most likely have liquid left after cooking the beans in the instant pot, just drain off the liquid before using in recipes. 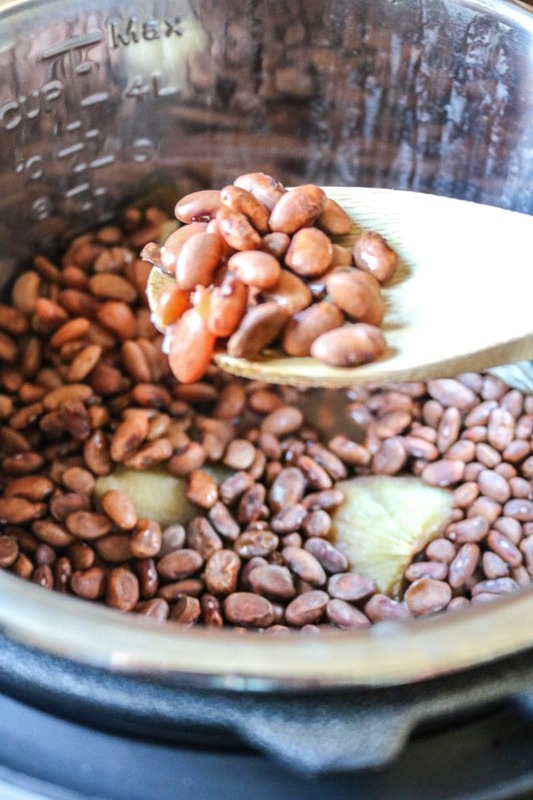 Place beans, salt and water in pressure cooker. Add in apple cider vinegar, bay leaf and onion if using. Place lid on Instant Pot and close valve to "seal." Allow to naturally release until pressure subsides, or at least 20 minutes before doing a quick release. Once beans have finished cooking, drain off the cooking liquid and use as directed in recipes. I do like to store cooked beans in a bit of the cooking liquid to keep them moist and tender while they sit in fridge, this is not necessary, but suggested. Almost all dried beans take 30 minutes to cook. I have found that black beans are ready in 25 minutes and chickpeas are softer at 40 minutes. For incredibly soft beans without much structure left, cook for 40-45 minutes on high pressure. Add in the apple cider vinegar to help aid in digestion of beans. I’d love any kind of “one-stop,” “throw it all in” dish you can make in the Instant Pot. I sure don’t have an Instant Pot – but I wish I did as these beans are the bombdiggity! With a vegetarian daughter in the house, I’ve been making all sorts of pulses / legumes and this would be a wonderful rotation – loving how you flavored them as I too love some flavor in all things! Pulled or Kayla pork! I love a good pork sandwich! How had I not subscribed to your newsletter yet already??? Sorry about that! I’d love to see you make RIBS in the insta-pot! Ribs in the Instant Pot?! I need to try that! Hope you are well my friend! I subscribed! I would love a recipe for a pasta dish in the Instant Pot! Is that even possible lol. YAY! So happy to have you Alexandra! And pasta in the instant pot–I will work on it–stay tuned! Can you also test to see if various pasta-substitute veggies (such as “zoodles” which are zucchini or other raw veggies cut spiralized to look like spaghetti), or spaghetti squash (which would kind of have to be already cooked, I believe, so whether to add it at the end or at what point during cooking -so it doesn’t turn into mush- would be a factor there) would work in your pasta recipes, pretty please? Hi Traci! That is a GREAT idea for the new year! I have an Instant Pot Spaghetti Sauce Recipe coming up next week. For pre-spiralized veggies, like zucchini you would mix right into sauce at end and just let warm at the end of cooking. For spaghetti squash, I need to experiment with cooking the squash at the same time as the sauce (by putting spaghetti squash on trivet) Let me work on that (and it may not be until after the holidays) Take care! Hmm, maybe Creme Brule or some kind of custard? Oh yes, dessert sounds like a great challenge! Would love to know how to make a buffalo chicken dip, one of my sons faves. Julia, that is a great idea!! That is one of my family’s favorites as well. YAY!! Love having you here Brie! 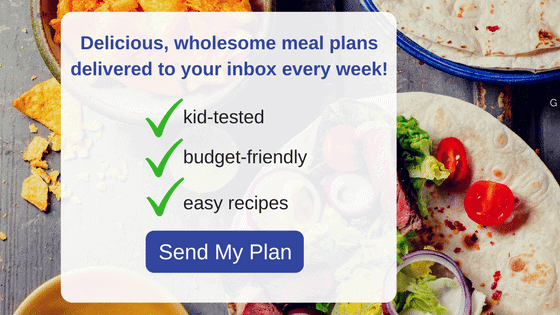 Any time saving recipe is great for us too. Here is a similar recipe for Chicken Tortilla Soup https://amindfullmom.com/chicken-chili/ To make it more like soup than chili, add in additional 2 cups chicken stock. And you can hit stew on Instant Pot and set for 25 minutes–and done! You can never go wrong with Mexican food! Please do a Mexican enchilada. I was blessed with an IP for Christmas. I would love to see some Asian inspired recipes. Thanks for the education on pulses. My DH wants more in the meal plan, so now I feel confident adding them quickly at supper time. Thank you! Shell, so glad I inspired you! And I am planning on working in some Asian recipes! I just subscribed! My family loves beans, especially mixing 1lb pinto beans with 1 lb ground beef for tacos. Stretches our taco meat further and is cheaper than adding more beef! I would love to see a recipe in the instant pot for a teriyaki pork roast, or any pork roast. Thanks! YAY!! Welcome to A Mind “Full” Mom family! And I always stretch taco meat with some type of pulse. Pork Roast is a great idea!! They say breakfast is the most important meal of the day, but I never seem to have enough time in the morning for breakfast. The instant pot looks like it would solve that problem. So I’d love it if you try more breakfast recipes. Baked eggs, perhaps? Hm… I want to see you make a roast in the instant pot! I have done that several times–take this recipe https://amindfullmom.com/5-ingredient-slow-cooker-pot-roast/ and set for meat/stew for 30 minutes. Perfection! Can I set this for manual high pressure for 30 Min? I love simple one-pot dinners-they would be even easier in the instant-pot! I would love to see Chicken Paprika. I subscribe. I’m wondering what desserts could be made in the Instant Pot. I’ve seen slow-cooker recipes for things like chocolate covered peanut clusters or cakes. I’m wondering if you could make something like that in the Instant pot? Hmm, I know cakes I could pull off, but the chocolate clusters may be more of a challenge due to high heat. I am going to play around with it. Just subscribed. Would love to see you make of the most famous Indian dishes, the chicken biryani. You know, I think that is one of my favorites too! I have to get to work on it Vidya! Just subscribed! The beans look way less intimidating this way 😉 the chicken you just posted on Facebook looked so tasty, it’s what drew me here! So happy to have you Amanda 🙂 And beans are SO SO easy this way. And you have to try that Buffalo Chicken Dish–so yum! I want to see if lasagna can be done in the instant pot! YES!!! I am working on that. I love lasagna. Soups would be great!! We got our son and daughter in law one for Christmas and she absolutely loves it’ she loves doing the dried.beans in it!! They are doing the 100 days of Real Food so the Instant Pot helps out greatly!! Instant Pots are such a useful tool in healthy eating! 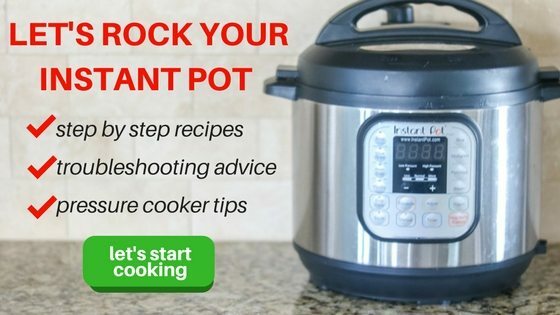 I would love win a Instant Pot I have been thinking about this for a while. I like you can brown in them. Thanks for the chance. The beans looks good. The browning function is AMAZING!! 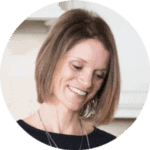 I enjoy your blog and your helpful recipes and hints. I recently started making my own kefir- both milk kefir and water kefir. I would love to try an instant pot sometime. I often forget my beans and let them boil dry! Thank you so much Diane!! 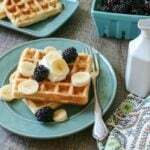 That is a great idea to try kefir in instant pot. And your beans will never be over dried in Instant Pot. I’d love to see you make Korean beef in the Instantpot! Oh yes—I LOVE Korean beef. Not sure how/why I haven’t subscribed before! What about something straight from the freezer… as in oh crap, I didn’t pull chicken out and I need dinner in an hour! Not that I ever do that… ???? LOL!! You are NOT alone. And yes, I have pulled things straight from the freezer and the Instant Pot has it ready in 1 hour or less! I have the 8 qt IP. Do you think I could double the recipe, and do 2 lbs of beans? I have a question! We have a large family (10 kids!) and I want to cook two pounds of pinto beans at once. Suggestions on altering time and/or amount of water?? Wow! You are my hero! So I actually just cooked 2 pounds of pinto beans. The timing is the same (it will take a bit longer to come to pressure), but you will put in the 2 pounds pinto beans and cooked them in 12 cups of water and they came out perfectly–just make sure you have a large enough Instant Pot that it is not more than 2/3rd of the way full. You don’t need a full 8 cups of water per pound of beans to cook–I just like the liquid it gives off. Thanks for the recipe. I got my IP just a short time ago and love it. Beans are a staple in our house so I’ve been making double batches at a time, then pressure canning them in Mason jars. Fry up an Onion, chopped chorizo, then add a jar of homemade beans, a dollop of your favourite bbq sauce, and dinner’s ready in 10 minutes. That sounds delicious Tom! I love beans with sausage and chorizo is extra delicious! I followed your recipe for doing beans. They came out soupy. Any suggestions? Hi Candace, the beans will come out with quite a bit of liquid (this helps the beans plump up as they cook). Just drain off the liquid and use in recipes as you like. I love beans! These look fantastic and I need to get an instant pot ASAP! Making beans in the Instant Pot is one of the number one reasons I adore my instant pot. Its always great to learn something new . Didn’t know how to cook beans in Instant Pot before! So glad this helped you Brandi! I have a small Chefman 2.5 quart instant pot. I believe I can cook 1 cup of dry beans with no problems. Does the time to cook change using 1 cup? Hi Micheal! The cook time will remain the same–it will just take less time to come to pressure and release pressure. Just remember if you want SUPER soft beans, cook up to 45 minutes. Enjoy! I found a normal pressure cooker on my hob much better than an electric. Can you taste the vinegar in the beans after cooking? I have never noticed the taste myself. But you can omit if you are worried about it.